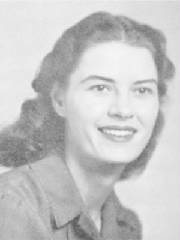 "IT IS AN HONOR TO BE SELECTED TO SERVE"
The first practical idea for establishing a "band sorority" as a national entity to meet the expressed needs of the growing number of women in college and university bands was presented by band member Wava Banes (Henry), along with her classmates, Emily So Relle and Rose Nell Williams, to director D.O. Wiley of the Texas Tech University Band in the closing months of 1937. This discussion led to a group of bandswomen at Texas Tech University founding a local organization known as "Tau Beta Sigma," modeled in principle on the example of Kappa Kappa Psi. Much like the Fraternity, Tau Beta Sigma’s purpose at Tech was to serve as an honorary service and leadership recognition society, but it was designed especially to provide the important additional social, educational, and other positive experiences needed by women in the band. In June of 1943, the Tech women petitioned the Grand Council of Kappa Kappa Psi to become an integral part of the national Fraternity as an active chapter. Accepting the group under these circumstances would have entailed a complete revision of the Kappa Kappa Psi constitution. Because of the war, doubt was expressed as to just when the next fraternity convention would be held so that the issue could be brought to debate. Rather than postponing action on the womenâs request indefinitely, a suggestion was made that Tau Beta Sigma form its own national organization, just as the National Fraternity had done in 1919. Until a national convention of Kappa Kappa Psi could be held and the matter clarified, Tau Beta Sigma could be considered the "sister organization" of the Fraternity. The Grand Council of Kappa Kappa Psi agreed that Tau Beta Sigma could share in all fraternal publications. While applying for a national charter, the Tech Chapter encountered difficulties involving certain Texas state corporation laws. In 1945, A. Frank Martin, National Executive Secretary of Kappa Kappa Psi, suggested that the local band sorority currently in existence at Oklahoma State University apply for the charter, since fewer difficulties would be encountered in Oklahoma. So, in January of 1946, the women of the Texas Tech Tau Beta Sigma Band Sorority, through their director, D.O. Wiley, graciously surrendered their name, "TAU BETA SIGMA," their constitution, ritual and jewelry designs to the local band club at Oklahoma State University, in order that the national organization could be established. By doing so, the Tech women understood that they were permitting the Oklahoma State group the title of "Alpha, the Mother Chapter," and accepted the status of "Beta Chapter," the second chartered chapter. On March 26, 1946, a charter was granted by the Department of State for the State of Oklahoma legally establishing "Tau Beta Sigma, National Honorary Band Sorority," later amended to "Tau Beta Sigma." On May 4 of 1946, the members of the Alpha Chapter traveled to Lubbock, Texas, to officially install the women of Texas Tech as the Beta Chapter of the National Sorority. Tau Beta Sigma operates primarily as a student service and leadership recognition society whose chief aim is to assist the directors in developing the leadership and enthusiasm that they require of their band. Our goals are not only to provide the band with organized and concentrated service activities, but to give our membership valid and wholesome experiences in organization, leadership, and social contacts. The honorary nature of membership is based on our premise that it is an honor to be selected to serve this band, its department of music, its sponsoring institution, and the cause of band music in the nations colleges and universities. Tau Beta Sigma National Honorary Band Sorority provides service to collegiate bands, encourages the advancement of women in the band profession, and promotes and enriches an appreciation of band music through recognition, leadership development, and education of its members.